NNFF1.1h is the first determination of the fragmentation functions of unidentified charged hadrons based on the NNPDF methodology. It is performed at next-to-leading order and includes a comprehensive set of single-inclusive electron-positron annihilation data and of proton-proton collision data. 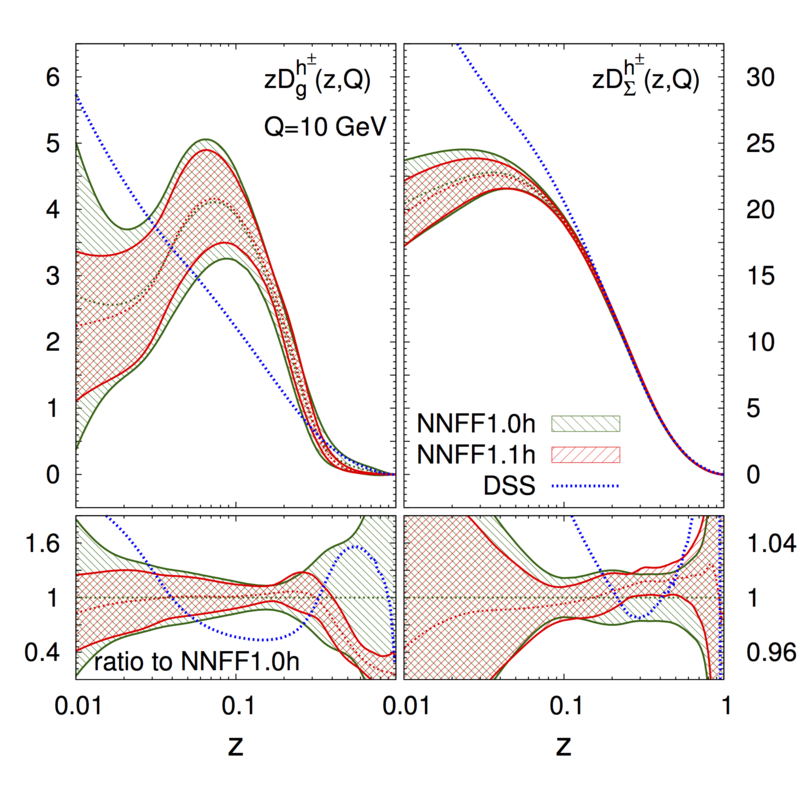 The set is consistent with NNFF1.0, our previous determination of the FFs of charged pions, kaons, and protons/antiprotons, but has significantly reduced uncertainties for the gluon fragmentation function.